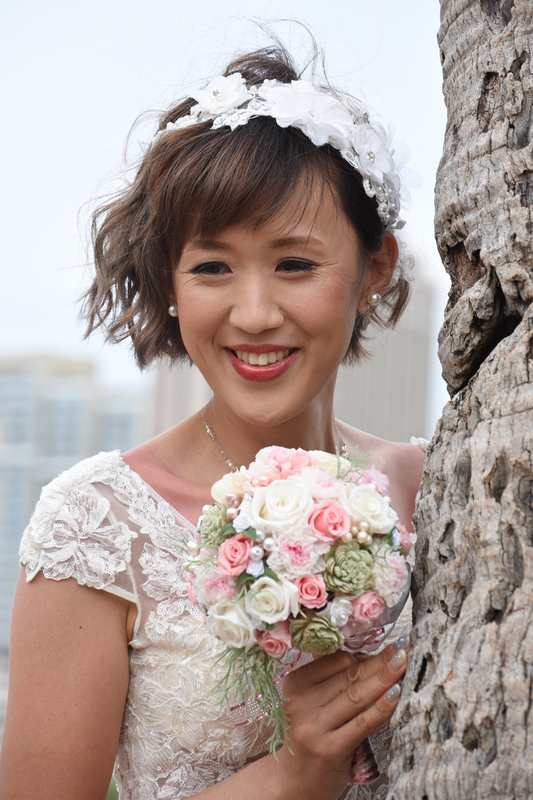 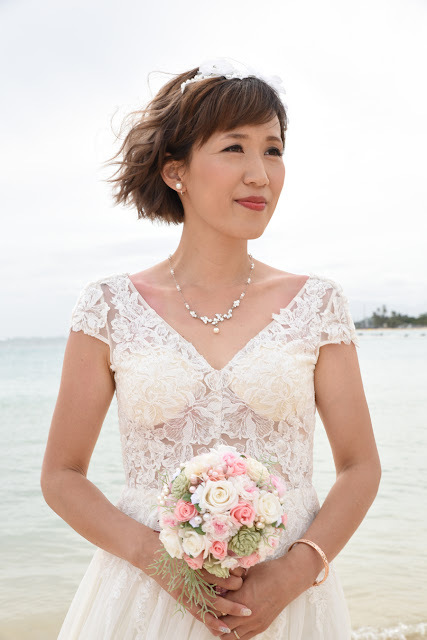 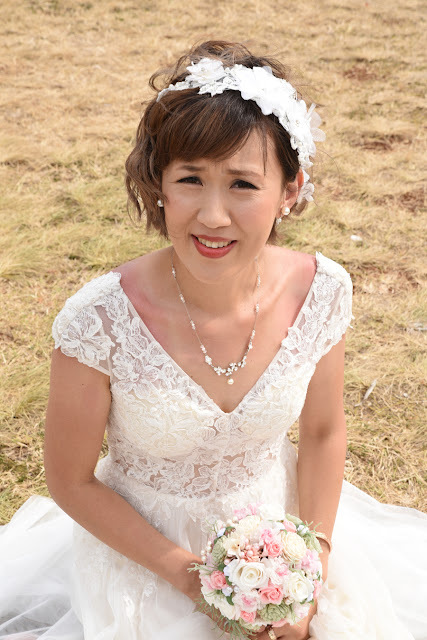 This smiling shot may be the best of the bunch with Korean Bride Yoriko at Ala Moana Beach Park in Honolulu, Hawaii. Silk flower bouquet has nice colors. 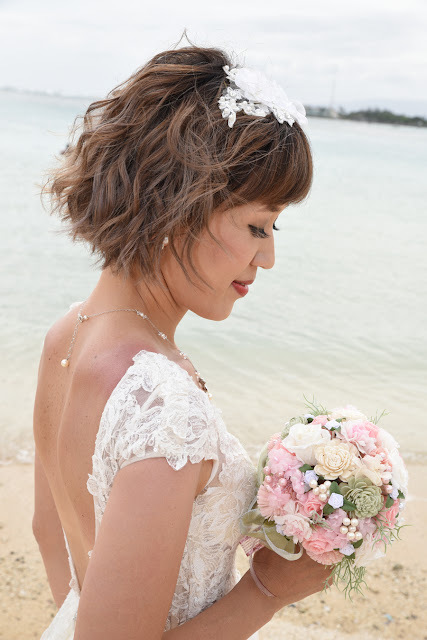 Just right to add a little something to the photo.